When hearing the words ‘photo editor,’ one would automatically think of Adobe Photoshop within seconds. Various iterations of the program have been a staple for photographers and graphic designers since 1990, and ‘Photoshopping an image’ has become a common phrase for retouching photos. However, Adobe Photoshop is not the only photo editing tool available on the market. A Mac-exclusive program by a company named Affinity is rapidly gaining ground in the race to become the de facto photo editing tool. A Windows version is currently in the works, yet PC users will have to wait several more weeks until the beta is released. For a one-off fee of $50, the Affinity Photo program can be bought and downloaded – bound to be far more appealing than Adobe’s $20 a month subscription fee for Photoshop. 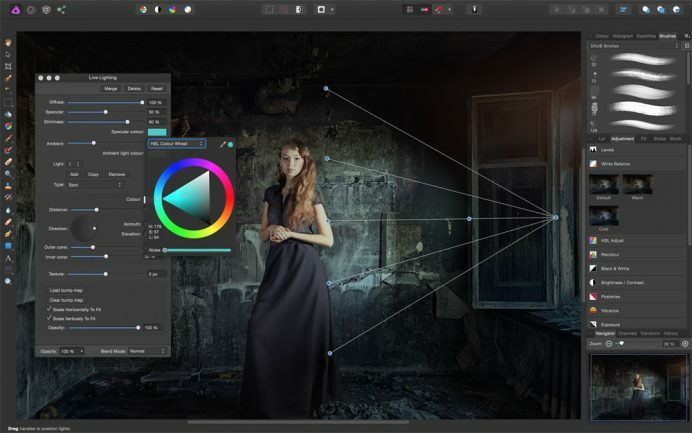 In essence, practically anything Photoshop can do, Affinity does just as well; however, the latest app that Affinity has created could be a game-changer. Adobe’s rival will soon release an iPad version of their photo editing tool, a move which will capitalize on the millions of tablet users out there. The iPad version will also incorporate the Apple Pencil – useful for shading and brightening specific areas of a photo, as well as removing unwanted elements. You may even be surprised to know that there are many alternative programs to Adobe, particularly online versions that are either completely free, or considerably cheaper than Photoshop or even Affinity Photo. For amateur photographers or designers wanting a program to hone their skills, looking at these alternatives to Photoshop is a great way to learn the basics of photo editing and graphic design – abilities that are incredibly useful in today’s job market. Not to take this hit lying down, Adobe is set to release a new element for an upcoming version of Photoshop. Called ‘Content-Aware,’ the feature can create pixels completely out of the blue. Content-Aware has the capability to fill in white space left behind when an image has been cropped or realigned, which allows for the image size to stay as it was before editing. Furthermore, Adobe is also helping to bring damaged, stolen, or missing art masterpieces back into the modern world. Using hundreds of images from Adobe Stock (part of the Adobe Creative Cloud package), four digital artists have been recreating famous artworks using Photoshop. While not an exact replica of the original, the updated artworks are nevertheless stunning images and simultaneously demonstrate the immense power of Adobe’s programs.